The world of trail running brings together different sorts of people who do not only practise sport, but who also believe in and respect a number of important values that form the ethics of sport. Respect for the volunteers: they take part in the race simply for the pleasure of helping out. Respect plants and wildlife: don’t leave rubbish behind. Stick to the paths marked, without taking shortcuts, in order to prevent soil erosion. Just a prize to reward each runner who finishes the trail. Everyone, be they runners or volunteers, should take action to ensure support is provided in all situations. Valle d’Aosta Trailers s.s.d.r.l (a limited-responsibility non-profit amateur sports association) organizes the Winter Eco Trail by Night with the patronage of the municipality of Courmayeur and the partnership of the Courmayeur Mont-Blanc Society and the ASD Courmayeur Trailers. The trail runs through a natural landscape in the Courmayeur ski area. The race is held during night time. This is a single–stage race with complete freedom in speed that must be completed within a set time. It develops on about 13km, it has an altitude gap of 1500 mt and a maximum time of 4 hours ad 30 minutes. Difficult: the race does not present particularly complexities, but the night set and the cold temperature makes it suitable for expert trailers. The race is open to all men and women aged 18 or over on the date of entry whether or not they are members of a running association. A number of supply points will be set up along the route, with food and drink that must be consumed on the spot. Plastic cups will not be provided at any of the refreshment points; runners must have their own cup or other personal container suitable for the purpose. Only still water will be provided for filling up water bottles or camel bags. Each runner must ensure that upon leaving each re-supply point s/he has the regulation amount of food and water necessary to make it to the following refreshment point. Personal assistance along the route is forbidden. It is forbidden to have any people not regularly inscribed at the race accompanying runners. The race develops on the ski slopes of the Courmayeur Mont Blanc Cable car District so the following rules must be observed: after the closing time, it is strictly forbidden to go up and down the ski slopes, so there will be no reconnaissance of the race path. Just for the day of the race, public who wish to go up to Plan Checrouit can walk up from Dolonne, strictly following the race path and the race flags. It is also possibile to use the cable car from Courmayeur (10 € round trip). Near the Courmayeur Mountain Sport Center, 200 mt far from the race starting line, there are big unattended parking lots. This race includes several stretches at high altitude, and the conditions can be very difficult (running in the dark, wind, cold, rain or snow). Proper training and a real ability to be self-sufficient are essential for successfully completing this individual adventure.There are no particular requirement in order to run Winter Eco Trail by Night but it is strongly suggested to have taken part in long trails before this one. 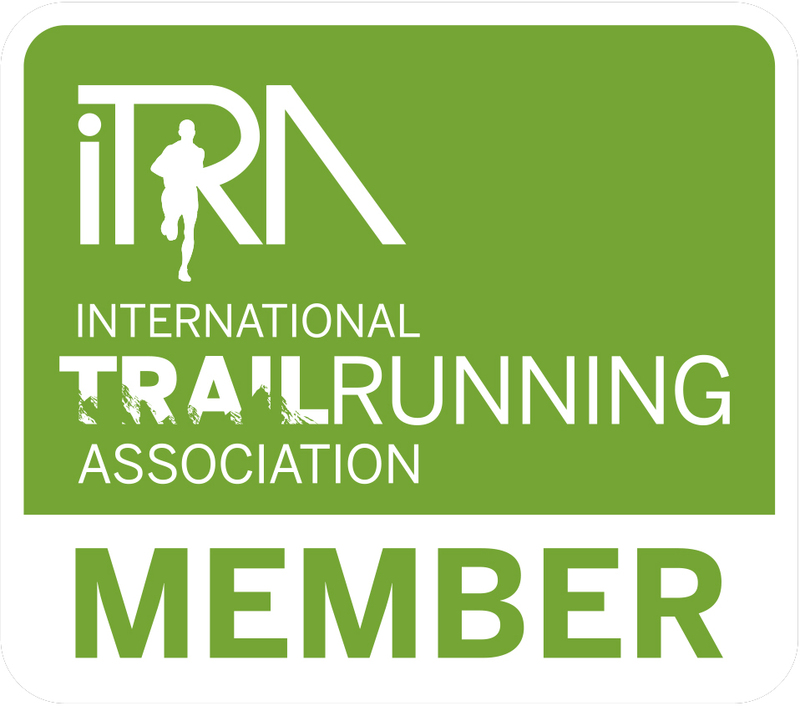 Inscriptions are managed by 100x100trail.com website, owned by VDA Trailers. To enter the inscription it is necessary to the register on the website. We suggest you to register on the website before the opening day of inscriptions. Inscription to WET by Night is to be made online only, filling every part of the form related to the race you have chosen, before and not after 6th March 2019. Payment has to be made along with the inscription through an on-line service which accepts VISA and MASTERCARD credit cards. Once the payment is completed and confirmed by the bankpass service, the inscription will be recorded as done in the organization database. Registration fee is comprehensive of all the services described in the rules of the race. In order to register, a valid medical certificate declaring fitness for competitive sports is required along with a disclaimer of liability. Each runner has to update on his personal inscription page ( www.100x100trail.com) the requested documents before and not after 6th March 2019. If the runner does not provide to give the organization his medical certificate and disclaimer before the given date, he would not be able to take part in the race. Medical certificates and disclaimers will not be accepted at the starting line. By entering the Winter Eco Trail by Night, athletes undertake to fully and unreservedly abide by the regulations and the race ethics published by the organisers. 50% of the entry fee will be refunded only if the race is cancelled due to last minute force majeure. If an athlete is forced to withdraw before the start of the race as a result of a certified accident or illness the race direction will consider a 50% refund. By entering the race, each runner undertakes to take with him/her all the compulsory material listed below throughout the race. Failure to do so will result in application of the established penalties. Along the route, surprises checks of the compulsory materials by volunteer and race officials will be arranged. If they should consider the runners’ materials not sufficient or suitable to the race, they have fully power to disqualify runners by taking its bib and bracelet and communicatingtheir decision to the direction of the race. Rescue points will be set up along the route, at refreshment points and in high points, each of them with a phone or radio link to the race headquarters. Ambulances, civil protection service personnel and doctors will be present in the area. The rescue points are designed to provide assistance to anyone in difficulty, using the organisation’s own means or through services with which the organisation has an agreement. The official race doctors are authorised to withdraw from the competition any entrants they consider are not fit to continue. Members of the rescue services are authorised to remove from the race, by any means available to them, any runners they believe are in danger. If necessary, and in the interests of the person being rescued, at the exclusive discretion of the organisers, the official mountain rescue services may be called upon to take over operations, using any means they consider appropriate, including a helicopter. Any costs deriving from such exceptional transport will be charged to the person who has been rescued, as per the regulations in force. Any runners who request the services of a doctor or rescuer implicitly submit to their authority and undertake to accept any decisions taken. Runners who decide to pull out of the race along the route must proceed to the nearest checkpoint and inform the organisers of their decision so that transport back to the base in Courmayeur can be organised. Runners who fail to notify the organisers immediately, thereby setting in motion search operations by the rescue staff, will be liable to pay any costs deriving therefrom. Along the route, race officials will be present and will be authorised to check on compliance with the regulations on the part of runners and on the respect of compulsory material. Disqualification means the runner must abandon the race immediately. Penalties will be applied by adding 4 hours to the final race time, allowing the runner to complete the course. Irregularities demonstrated by video images sent to the organisers, even after the race, may result in disqualification or penalties. All complaints must be submitted in writing maximum 30 minutes after the posting of temporary results of the race. A deposit of € 50.00 is required. The jury will take the time it considers necessary in consideration of the race in order to examine fights and disqualifications happened during the race. Its decisions are final. In the event of adverse weather conditions (a strong depression with heavy rain and snow at altitude, a high risk of storms), the start of the race may be postponed for 2 hours at most, after which time the race will be cancelled. The organisers will take out civil liability insurance for the duration of the race. The organisation shall ensure that each participant is registered as a member of the UISP (Italian Union of Sport for All)to guarantee insurance for each runners. UISP fee is included in the registration fee.Entrants take part in the race under their own responsibility, thereby relieving the organisers of any and all responsibility in the event of damage or other consequences that may derive from the race. Before the online entry procedure can be completed, runners must sign a liability release. In order to enter the final standings, runner must arrive at the finishing line in Courmayeur. No money prizes will be given. Each runner who completes the race will be given a “finisher” prize. An overall ranking will be drawn up of all entrants, as well as separate rankings for men and women. Prizes will be awarded to the first five men and women in the overall rankings.